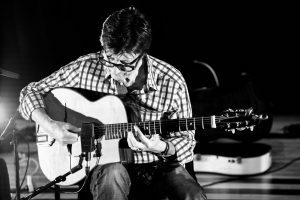 Another lucky break for me, the opportunity to attend the rehearsals and concerts in April 2015 for Hank Marvin Gypsy Jazz Ensemble. The chance to take photos and video as well as enjoy the company with a bunch of great people. I will post photos in the gallery. I was introduced to Hank Marvin (The Shadows) back in 2013 by my friend of 48 years Gray Bartlett. What happened since that meeting is nothing short of amazing and I intend writing the full story in detail. This will start from back in the early 1960’s because the events leading up to the current situation have a bearing on it and quite remarkable. I hope to produce a book about it both in digital format and as a hard copy with high quality pictures. Parts of the events can be read in my life story on this site but not in real detail. Since that time I have become extremely passionate about the art of Concert Photography which happens to be very challenging to say the least.